A while back, Paramount released the first trailer for its upcoming remake of Pet Sematary. It was generally well-received, but some fans (myself included), couldn’t help but be struck by the feeling of deja vu. The new movie looks so close to the original it almost feels pointless. Now, that’s not to say the Pet Sematary remake will be a bad film, but in my opinion, the best remakes are the ones that do something different with the material, such as the recent Suspiria. The worst to me are the straight-up copies like Psycho, Poltergeist, and The Omen. Still, I’m not quite ready to write off this new take on Pet Sematary, and I’m sure most of you aren’t either. One good thing the remake has already done is inspire Paramount to create an HDR remaster of the original, as recently revealed by director Mary Lambert on Twitter. Lambert doesn’t specify what this new restoration of Pet Sematary is intended for, but one assumes it’ll be for some type of new Blu-Ray release. 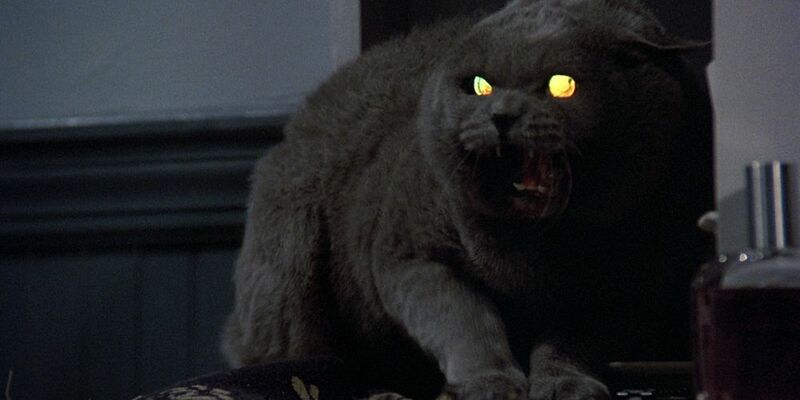 Pet Sematary is already available on Blu-Ray in a fairly good version, but the existing transfer could use some improvements. Of course, even more visual clarity during the Zelda scenes probably won’t be a good thing, as those were already terrifying on VHS. Throw some cool new extras on there though, and I’ll happily double dip on Pet Sematary. After all, sometimes two copies are better.